‘Walter sat with my camera, in the backseat of a beautiful sea foam-green Oldsmobile he had procured for us, while I was in the front kissing a stranger. We cruised through Havana in search of the ominously shady and remote locations.’ Sounds like the narration that runs over the opening scene of an independent road movie, doesn’t it? 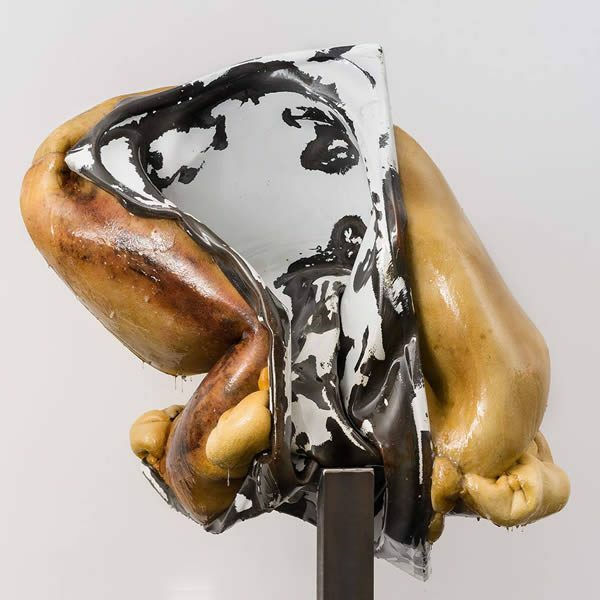 What we’ve actually got here is the experience of winning one of the world’s most exciting art awards. Samira Elagoz is talking through the consequences of being crowned winner of 2014’s BLOOOM Award by WARSTEINER, the annual art competition that sees ten finalists invited to present their work at BLOOOM — the converging art show; the fair that runs in tandem with Cologne’s esteemed ART.FAIR | Fair for modern and contemporary art. 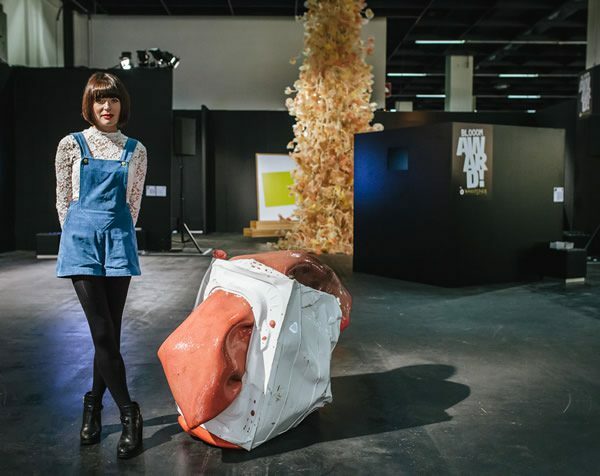 Gibson is another finalist who found a gallery through the process (Cologne’s Die Kunstagentin now representing her uncompromising, oft-unsettling sculptural work), as did Serbian artist Igor Simic, who had an interesting take on another part of the prize; a trip to Art Basel Miami Beach. ‘As soon as I “entered” the art world,’ he begins, ‘it was demystified for me: commodified, derivative and unimaginative works, ridiculously priced.’ Which is an honest, or cruel, assessment depending on your standpoint, but it pushed the artist to develop a network in Germany; folk that Simic met along the way leading to his participation in Frankfurt’s B3 Biennial of the Moving Image. 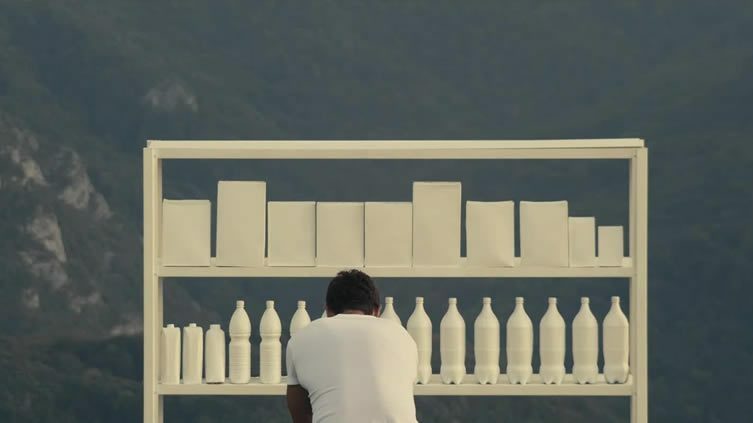 Demystified, the art world has really opened up for the Serbian — his short film Melancholic Drone has just scooped top spot at this year’s LOOP DISCOVERY Award (a component of major video art fair, LOOP Barcelona), has just shown at Belgrade art space U10 (creating new works for the exhibition that centre around hours of quotes from politicians contradicting themselves), and is working on an international co-production; his debut feature film, under the working title An Epic Poem for My Friends. 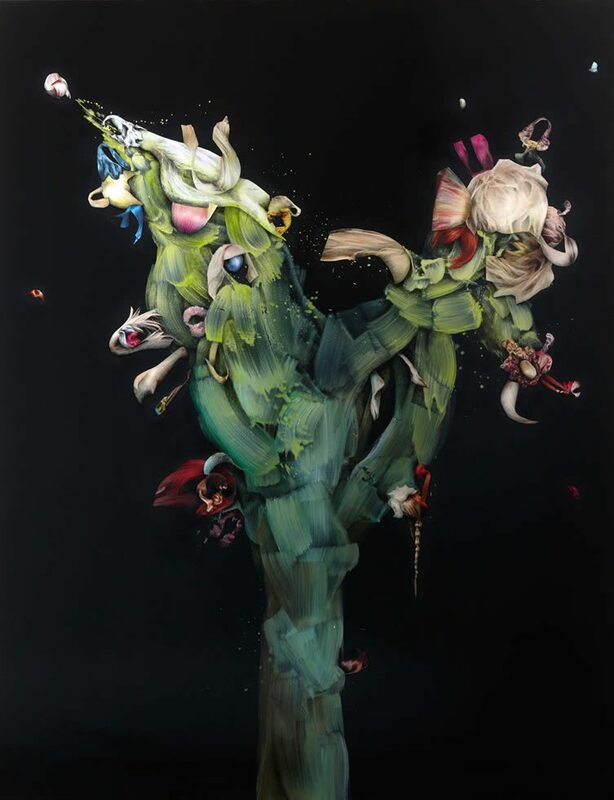 ‘My work fights superficiality,’ he continues, hinting at that mild disdain for the art world, ‘and opens up alternative ways of thinking about social issues, from personal psychology to the global political level.’ Commodified, derivative, and unimaginative, Simic’s work is not. Back to Gibson, and back to Walter — who is one busy boy: ‘one of the most brilliant outcomes from the experience has been the lasting friendship and support that I now have with Walter Gehlen, we kept in touch after the BLOOOM Award by WARSTEINER, and he’s been great since. We were in Venice last year, where I had a small independent show during the Biennale; and he’ll be coming to see what I’m up to in Glasgow in July.’ Which is going back to her roots; the Scottish artist, who moved to Berlin in 2013, will be flitting between the two cities for six months, in a bid to ‘reconnect with the Scottish art scene’. The Scot is not the only acknowledge artist whose work has taken off; fellow 2014 finalist Antoine Rose having done so literally — the Belgian photographer’s from-the-sky approach has been celebrated in exhibitions from London to New York, Milan to Brussels. 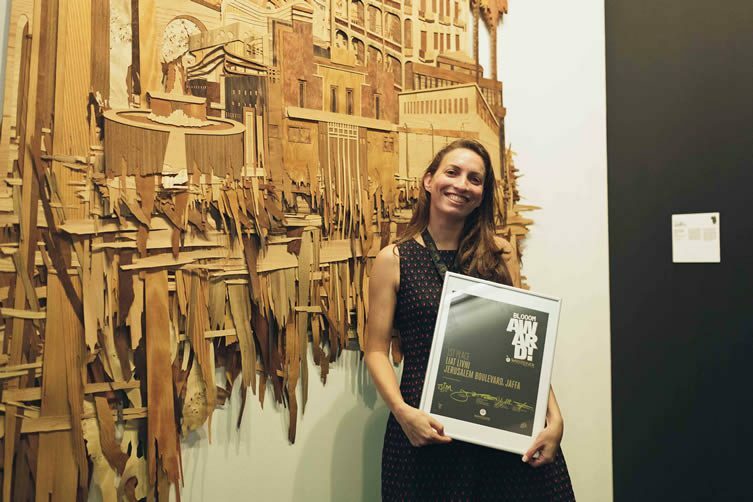 Meanwhile, last year’s winner Liat Livni will show from Büdelsdorf to Brooklyn this year, a major exhibition back home at Tel-Aviv’s Litvak Contemporary Gallery having just ended. 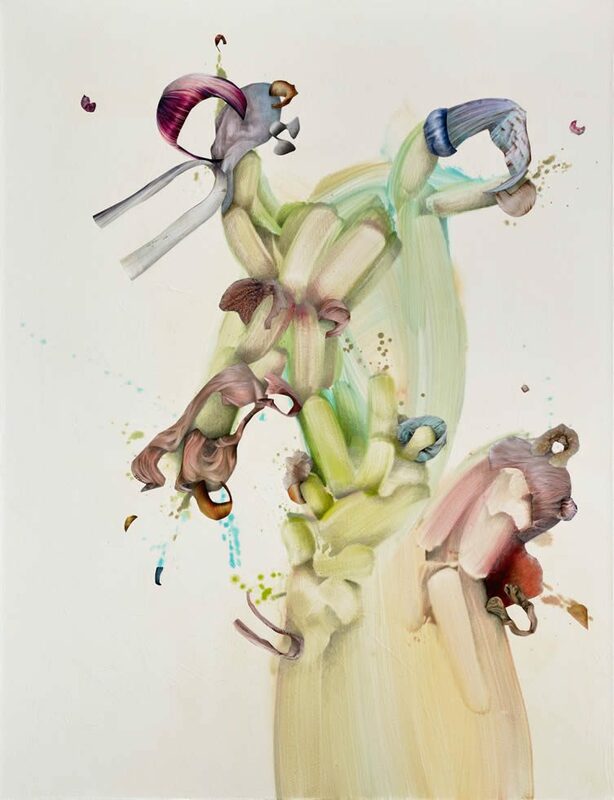 ‘It gives me a feeling of contentment and validation, that the path I have chosen as an artist is appreciated,’ says Livni of her 2015 honour; explaining, over the phone, that her progress as an artist is resulting in an evolution of her practice. 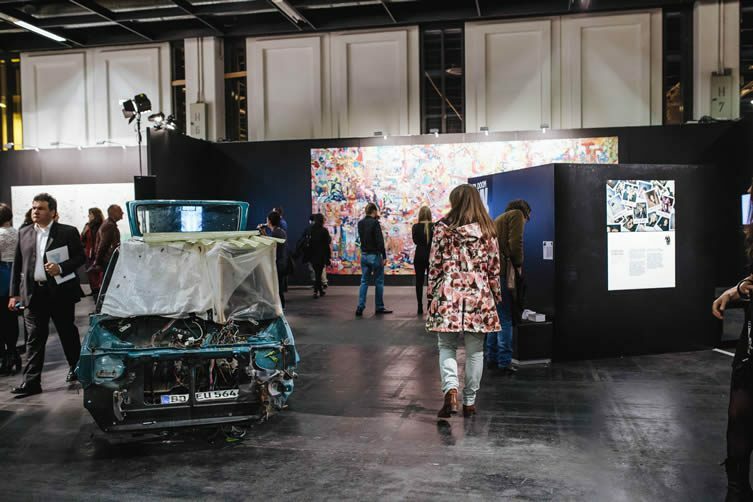 In the throes of its seventh edition, BLOOOM Award by WARSTEINER has opened its entry process once again, the springboard project — with its ongoing support, with its connections, and opened doors, its trip to Art Basel Miami Beach, its opportunity to show at BLOOOM — the converging art show, and so much more — is back to change the fortunes of ten more emerging talents. 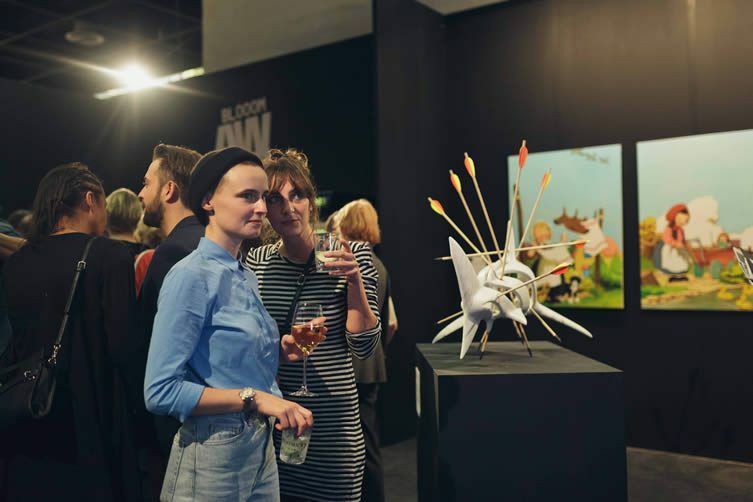 The application process for BLOOOM Award by WARSTEINER 2016 closes 31 July; prize winners announced 26 October at the grand award ceremony. The application process is now open at blooomawardbywarsteiner.com — join more than 640 artists from 66 countries in submitting your work to this year’s edition; application window closes 31 July.